The Smithsonian Migratory Bird Center is dedicated to fostering greater understanding, appreciation, and protection of bird migration. Bird migration is the regular seasonal movement, often north and south along a flyway, between breeding and wintering grounds. Many species of bird migrate. Migration carries high costs in predation and mortality, including from hunting by humans, and is driven primarily by availability of food. It occurs mainly in the northern hemisphere, where birds are funneled on to specific routes by natural barriers such as the Mediterranean Sea or the Caribbean Sea. The Smithsonian Institution, established on August 10, 1846 "for the increase and diffusion of knowledge," is a group of museums and research centers administered by the Government of the United States. The institution is named after its founding donor, British scientist James Smithson. Originally organized as the "United States National Museum," that name ceased to exist as an administrative entity in 1967. The National Zoological Park, commonly known as the National Zoo, is one of the oldest zoos in the United States. It is part of the Smithsonian Institution and does not charge for admission. Founded in 1889, its mission is to "provide engaging experiences with animals and create and share knowledge to save wildlife and habitats". Conservation biology is the management of nature and of Earth's biodiversity with the aim of protecting species, their habitats, and ecosystems from excessive rates of extinction and the erosion of biotic interactions. It is an interdisciplinary subject drawing on natural and social sciences, and the practice of natural resource management. A songbird is a bird belonging to the clade Passeri of the perching birds (Passeriformes). Another name that is sometimes seen as a scientific or vernacular name is Oscines, from Latin oscen, "a songbird". This group contains 5000 or so species found all over the world, in which the vocal organ typically is developed in such a way as to produce a diverse and elaborate bird song. In 1998 it developed the Bird Friendly coffee program    that fosters management practices at coffee farms that are good for birds while remaining marketable. Coffee grown under the program is certified  as shade grown and organic, with purchases supporting the conservation of migratory birds. The criteria for Bird Friendly certification was developed from basic research on migratory bird-habitat relationships by Smithsonian Migratory Bird Center scientists. Organic food is food produced by methods that comply with the standards of organic farming. Standards vary worldwide, but organic farming, in general, features practices that cycle resources, promote ecological balance, and conserve biodiversity. Organizations regulating organic products may restrict the use of certain pesticides and fertilizers in the farming methods used to produce such products. In general, organic foods are also usually not processed using irradiation, industrial solvents, or synthetic food additives. They sponsor advanced undergraduate and graduate students at collaborating institutions, as well as in-house post-doctoral fellowships. The center's education efforts include the creation of International Migratory Bird Day,  a holiday which is celebrated on the second Saturday of May in the United States and Canada, and on the second Saturday of October in most of Latin America. Neighborhood Nestwatch,  its community-based science and educational outreach program, involves volunteers in monitoring the reproductive success and survival of birds in their communities. to stimulate an interest in learning about other countries and their cultures. The white-crowned sparrow is a species of passerine bird native to North America. A medium-sized member of the American sparrow family, this species is marked by a grey face and black and white streaking on the upper head. It breeds in brushy areas in the taiga and tundra of the northernmost parts of the continent and in the Rocky Mountains and Pacific coast. While southerly populations in the Rocky Mountains and coast are largely resident, the breeding populations of the northerly part of its range are migratory and can be found as wintering or passage visitors through most of North America south to central Mexico. The great snipe is a small stocky wader in the genus Gallinago. This bird's breeding habitat is marshes and wet meadows with short vegetation in north-eastern Europe, including north-western Russia. Great snipes are migratory, wintering in Africa. The European breeding population is in steep decline. The sandhill crane is a species of large crane of North America and extreme northeastern Siberia. The common name of this bird refers to habitat like that at the Platte River, on the edge of Nebraska's Sandhills on the American Plains. This is the most important stopover area for the nominotypical subspecies, the lesser sandhill crane, with up to 450,000 of these birds migrating through annually. The whooping crane, the tallest North American bird, is an endangered crane species named for its whooping sound. 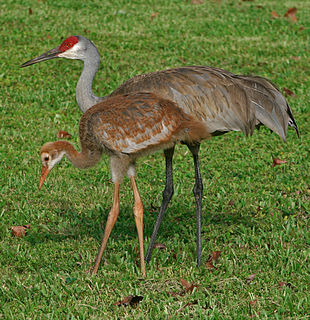 Along with the sandhill crane, it is one of only two crane species found in North America. The whooping crane's lifespan is estimated to be 22 to 24 years in the wild. After being pushed to the brink of extinction by unregulated hunting and loss of habitat to just 21 wild and two captive whooping cranes by 1941, conservation efforts have led to a limited recovery. The total number of cranes in the surviving migratory population, plus three reintroduced flocks and in captivity, now exceeds 800 birds. The orchard oriole is the smallest species of icterid. The subspecies of the Caribbean coast of Mexico, I. s. fuertesi, is sometimes considered a separate species, the ochre oriole or Fuertes's oriole. The yellow-throated vireo is a small American songbird. "Vireo" is a Latin word referring to a green migratory bird, perhaps the female golden oriole, possibly the European greenfinch. The specific flavifrons is from the Latin words flavus, "yellow", and frons, "forehead". The black-and-white warbler is a species of New World warbler, and the only member of its genus, Mniotilta. 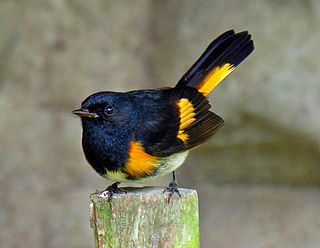 The American redstart is a New World warbler. It is unrelated to the Old World Old World redstart. Animal migration is the relatively long-distance movement of individual animals, usually on a seasonal basis. It is the most common form of migration in ecology. 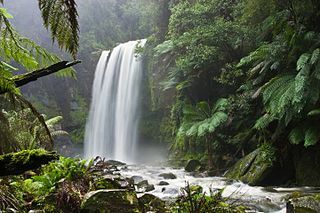 It is found in all major animal groups, including birds, mammals, fish, reptiles, amphibians, insects, and crustaceans. The trigger for the migration may be local climate, local availability of food, the season of the year or for mating reasons. To be counted as a true migration, and not just a local dispersal or irruption, the movement of the animals should be an annual or seasonal occurrence, such as Northern Hemisphere birds migrating south for the winter; wildebeest migrating annually for seasonal grazing; or a major habitat change as part of their life, such as young Atlantic salmon or Sea lamprey leaving the river of their birth when they have reached a few inches in size. The Southeastern Arizona Bird Observatory (SABO) is a nonprofit membership-supported scientific and educational organization founded in 1996 in Bisbee, Arizona, USA. The mission of the Southeastern Arizona Bird Observatory is to promote the conservation of the birds of southeastern Arizona, their habitats, and the diversity of species that share those habitats through research, monitoring, and public education. Seattle Audubon Society is a non-profit environmental organization dedicated to protecting birds and the natural environment by involving volunteers and the community in education, advocacy, preservation, science and enjoyment. Founded in 1916 to observe and protect birds, it is a chapter organization of the National Audubon Society, and is the oldest natural history organization in the Pacific Northwest. Shade-grown coffee is a form of the beverage produced from coffee plants grown under a canopy of trees. A canopy of assorted types of shade trees is created to cultivate shade-grown coffee. Because it incorporates principles of natural ecology to promote natural ecological relationships, shade-grown coffee can be considered an offshoot of agricultural permaculture or agroforestry. The resulting coffee is usually sold as "shade-grown". The nature conservation site Poda was declared a protected area in 1989 by the Bulgarian Ministry of Water and Environment. It was the first protected area in Bulgaria that is completely managed and maintained by a non-governmental organization, the Bulgarian Society for the Protection of Birds(BSPB). BSPB prepares and implements activities adopted by the Council of Minister's Management Plan, but receives its funding completely from entrance fees, souvenirs sold, and donations. Through this arrangement, it aims to be a sustainable model for nature conservation, environmental education, and eco-tourism. The Central Asian Flyway (CAF), Central Asian-Indian Flyway, or Central Asian-South Asian Flyway is a flyway covering a large continental area of Eurasia between the Arctic Ocean and the Indian Ocean and the associated island chains. The CAF comprises several important migration routes of waterbirds, most of which extend from the northernmost breeding grounds in Siberia to the southernmost non-breeding wintering grounds in West Asia, India, the Maldives and the British Indian Ocean Territory. Bird Day is the name of several holidays celebrating birds. Various countries observe such a holiday on various dates. Established in 1936 by executive order of President Franklin D. Roosevelt, the Patuxent Research Refuge is the only National Wildlife Refuge in the United States established to support wildlife research. With land surrounding the Patuxent and Little Patuxent Rivers between Washington, D.C. and Baltimore, Maryland, the Refuge has grown from the original 2,670 acres (10.8 km2) to its present size of over 12,800 acres (52 km2) and encompasses land formerly managed by the Departments of Agriculture and Defense. Throughout decades of change, Patuxent's mission of conserving and protecting the nation's wildlife and habitat through research and wildlife management techniques has remained virtually unchanged. Cerulean Warbler Bird Reserve, known in Spanish as Reserva Natural de las Aves Reinita Cielo Azul, is a nature reserve near Bucaramanga in central Colombia. The reserve is set among oak forest on the eastern slopes of the Magdalena River. It measures 545 acres (221 ha) and adjoins the Yariguíes National Park. Monarch butterfly migration is the phenomenon, mainly across North America, where the subspecies Danaus plexippus plexippus migrates each summer and autumn to and from overwintering sites on the West Coast of California or mountainous sites in Central Mexico. Other subspecies perform minor migrations or none at all. This massive movement of butterflies has been called "one of the most spectacular natural phenomena in the world". ↑ "Smithsonian Conservation Biology Institute - National Zoo | FONZ". Smithsonian. Retrieved 26 September 2012. ↑ Chong, Jia-Rui (2007-05-17). "Study tallies West Nile's toll on continent's birds". latimes.com. Retrieved 2009-07-14. ↑ Kaplan, Janice L. (2003-05-02). "Research Program Is for the Birds". washingtonpost.com. Retrieved 2009-07-14. ↑ "Study: Mangrove Animals Risk Extinction". www.upi.com. Retrieved 2009-07-14. ↑ "Population Connectivity". www.newsdesk.umd.edu. Retrieved 2009-07-14. ↑ "Think Before You Drink". www.washingtonpost.com. 2003-02-28. Retrieved 2009-07-14. ↑ "Wake Up and Smell the Bird-Friendly, Shade-Grown Coffee". www.sfgate.com/chronicle/. 1999-07-11. Retrieved 2009-07-14. ↑ "Bird Friendly certification". www.ethicalcoffee.net. Retrieved 2009-07-14. ↑ "Bird Day History". Environment for the Americas. Retrieved 28 September 2012. ↑ "Neighborhood Nestwatch". wamu.org. Retrieved 2009-07-14. ↑ "Migratory Birds Project". www.hmerida.com. Retrieved 2009-07-14. ↑ "Bridging the Americas". Smithsonian. Retrieved 29 September 2012. This article about ornithology is a stub. You can help Wikipedia by expanding it. This Smithsonian Institution article is a stub. You can help Wikipedia by expanding it.